Note Before you begin troubleshooting any of the following issues, you’ll want to first verify that you have the latest version of the Xbox app on Windows 10. Users in the European Union and Korea who are using a Windows 10 N or a Windows 10 KN will also need to install the Media Feature Pack for N and KN versions of Windows 10 to use this feature. Make sure to turn on your Xbox One and connect it to the same subnet as your Windows 10 PC. 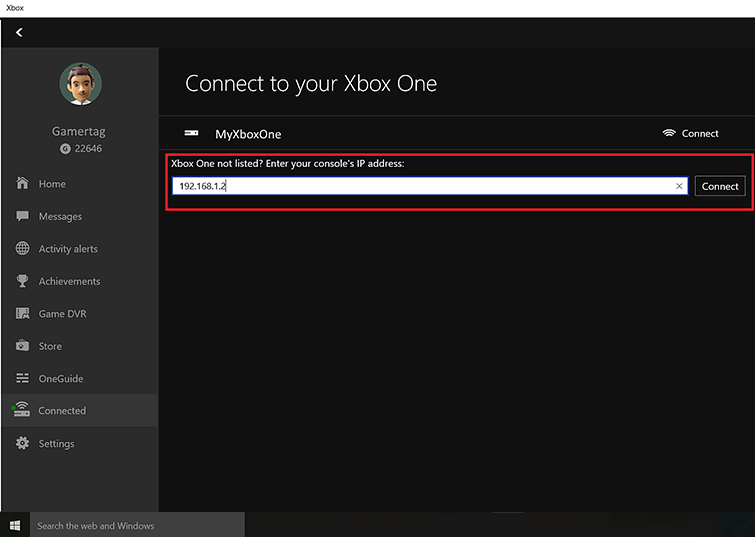 If it’s turned on and connected to the same network, you may need to specify the IP address of the Xbox One. You can find the Xbox One’s IP address by going to Settings, selecting Networking, and then selecting Advanced. Start the Xbox app. 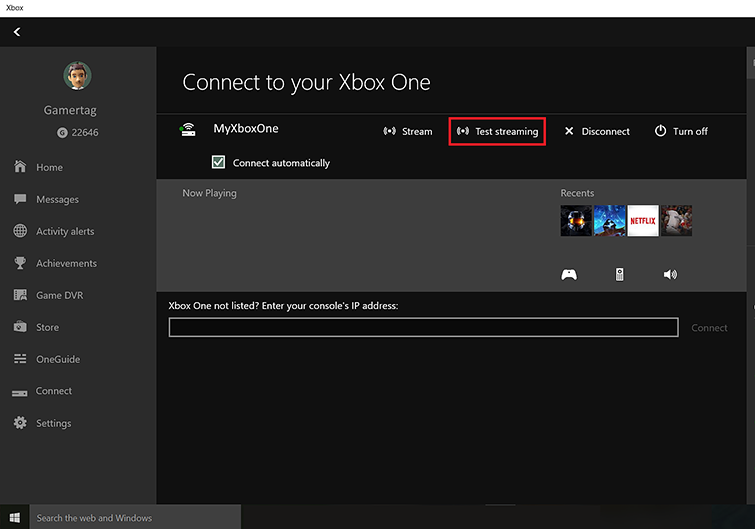 In the navigation pane, select Connect, enter the Xbox One IP address into the Xbox One not listed? Enter your console’s IP address box and then select Connect. If this doesn’t work, your Xbox One probably is not on the same subnetwork as your Windows 10 PC. Ensure both are on the same network. Last, try rebooting both your PC and your Xbox One console, as this can sometimes fix connectivity issues. 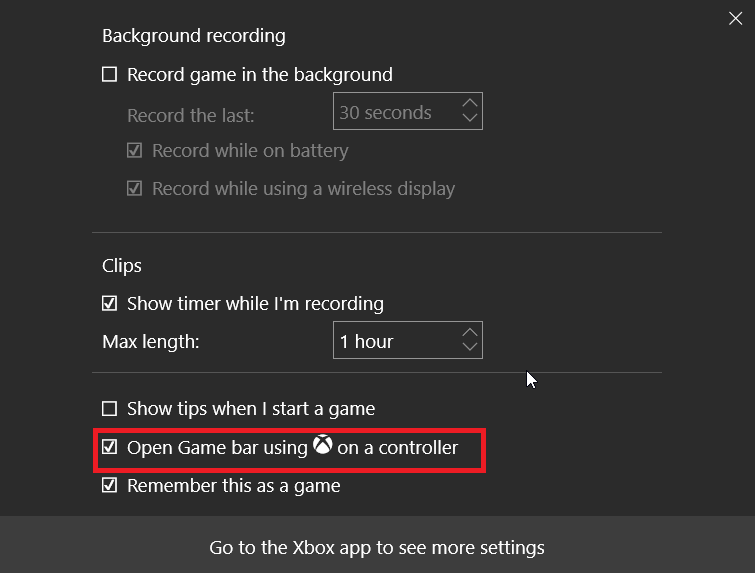 Check that your Xbox One console allows SmartGlass connections. 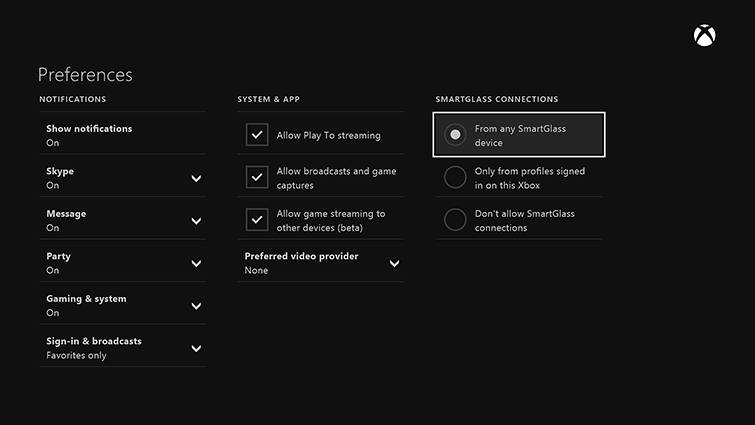 You’ll find this on the console by going to Settings, selecting Preferences, and then selecting Allow SmartGlass Connections. If you still can’t connect, try rebooting your Windows 10 PC and your Xbox One console. You must be signed in to the Xbox app with the same gamertag as the one that’s signed in on the Xbox One console. Your profile must exist on the Xbox One. Try signing in directly on the console. Normally, your profile will automatically sign in when you connect to the console. If this is not possible, try lowering the quality level. 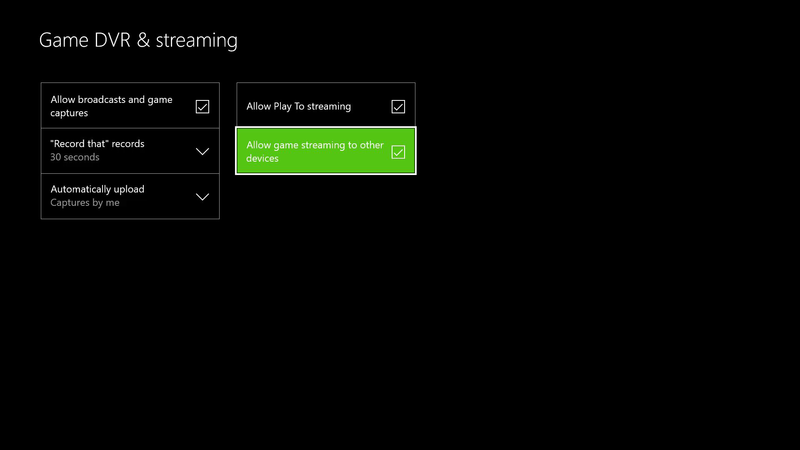 Select Connected, select your Xbox One console, and then select Test streaming. The Xbox app will test the streaming connection and report its results. If this still doesn’t work, look at your Device Manager to make sure that Windows is recognising that your controller is plugged in. Make sure your audio device for both input (microphone) and output (speakers) is set correctly on your PC. Under Control Panel, select Hardware and Sound, and then select Manage audio devices. You’ll find these settings on both the Playback and Recording tabs. At the present time, this needs to be selected before you begin Game Streaming. Select Roaming Aggressiveness from the Property list.